This off-season deal is going to sell out like lightning (I confess, I bought two pairs for gifts before I posted this). 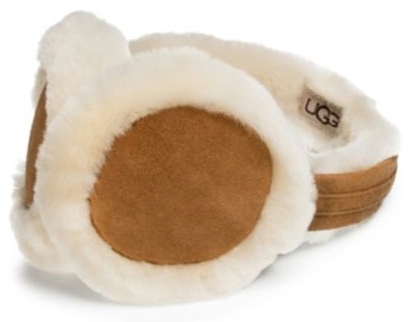 Saks Fifth Avenue Off Fifth has got these UGGs Classic Shearling-Trimmed Leather Earmuffs in chestnut for only $14.99 with free Shoprunner shipping. These earmuffs retail for $75.00 (and though UGG Earmuffs, do go on sale, that's pretty close to a real number, not so much an inflated "before" cost), so this is a savings of 80%.